Amin Driving School (ADS) has been owned by Mr. Jose Amendano since 2011. 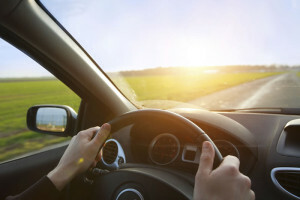 A graduate of New Jersey City University with his Bachelor’s in finance and an MBA in management and leadership, Jose Amendano has positioned his driving school to serve the greater Northern New Jersey area with the best driving instruction available. Jose has been a state certified driving instructor for over 11 years, and additionally, he has successfully completed the Defensive Driving Teaching Techniques course at New Jersey City University. Immigrating to the Northern New Jersey area from Ecuador, Jose always saw the importance of having a driver’s license. Being given a license granted the ability to commute more freely and ultimately become more independent. As a true servant of his community, he holds the responsibility of helping others achieve that privilege of getting their NJ drivers license at the core of the Amin Driving School (ADS) philosophy. Jose holds his team of professional driving instructors to the highest standard, ensuring that each and every student is given a safe and welcoming environment to learn and succeed in. For Jose and Amin Driving School (ADS), it is of the utmost importance that the ADS team builds deep-seated roots in the communities by building better and safer drivers. You’re only given one “first time” driving experience, and at Amin Driving School we ensure that the experience is handled with the proper care and attention it demands. 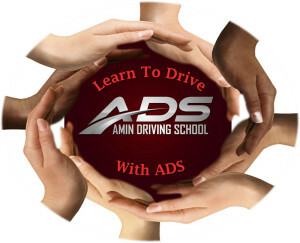 The entire team at Amin Driving School (ADS) is committed to providing the best driving instruction possible, and welcome any questions you may need answered to get started! AMIN Driving School is proud to say that it is a Drive Safer Certified™ Driving School.